This is the first in an occasional series about the musical heritage of the Appalachian foothills and the impact the region’s songwriters, pickers and singers have on music today. It’s about a 30-minute drive from Morehead to Sandy Hook winding along the narrow, curvy and tenacious road that is Kentucky Route 32 – a familiar stretch of highway representing the last leg home to many a picker and singer down through the years after a late night gig in a nearby town or a couple day foray home from Nashville for others. A bronze statue of Keith Whitley stands guard over the metaphoric gate as one enters Sandy Hook reminding those who ponder just how demanding the curvy and treacherous road to fame can be. Kentucky Route 32 joins Route 7 at Newfoundland and diverges east toward Isonville, and Route 7 turns south across the Little Sandy River in Sandy Hook. This little nook of the foothills that runs over into Lawrence County has produced the likes of the Whitleys, Ricky Skaggs, Larry Cordle, Jimmy and David Sloas, and Don Rigsby. Stop for a moment to reflect on just how magnanimous the influence these musicians have had on the sound of Bluegrass and country music over the past 35 years. Now if you come from this part of the country, you know the tongue-and-cheek comment about the talent is “it’s in the water.” If not in the water, where did the extreme talent and desire of these few mentioned music men forge: This column will trace the family tree of musical heritage in this special region of the foothills of Appalachia, where ordinary people make very extraordinary music. I consider myself an aficionado when it comes to singers so forgive my conceit, but here is the scoop. When it comes to male vocalists, regardless of genre, there are three that make the hair on the back of the neck stand up and straighten out when they turn loose: Russell Moore, Chris Stapleton and Don Rigsby. Russell Moore and his atmospheric vocal range fronts Third Tyme Out, one of the premier instrumental and vocal groups in music today. Chris Stapleton hails from Johnson County, just over the ridge, is a masterful songwriter as well as singer making a serious impact on the Nashville scene today, formerly of The SteelDrivers and now leading The Jompson Brothers while pursuing a solo career. The very soul of bluegrass music is that “high lonesome sound,” and no human on the planet today epitomizes that sound more than Don Rigsby. I drove the winding Kentucky Route 32 to Elliott County and met Rigsby a stone’s throw north of Sandy Hook at the Laurel Gorge Heritage Center. Rigsby arrived with his chief navigator and 5-year-old son Andrew who is already doing a little pickin’ of his own. Quickly recognizable is the fact Don Rigsby is a father with a patient and gentle hand as he explained to Andrew what we were there to do and that he was free to “look but don’t touch” all the stuff to be seen at the center. The origins of Rigsby’s gentle nature were also quickly revealed when posed with telling me about where music began for him: church and his dad. “Our Baptist faith doesn’t call for musical instruments in the church so I learned to sing line singing and doing that from the time I can remember with my hero. Ever since I was big enough to stand in a chair or on a table beside the pulpit, I was singing right next to my dad,” Rigsby said. Rigsby goes on to tell how his parents made sure he had what he needed to progress as a student, and how as a singer/musician as his singing in church led to the Elliott County High Band. 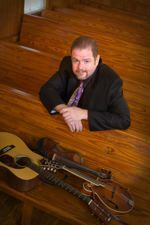 Attending Morehead State University led to a Bluegrass group known as TruGrass that included other locals Johnny Lewis on banjo, Tim Gilliam on guitar and Rigsby shifting over to what has now become his signature instrument, the mandolin. Wildfire includes former J.D. Crowe alum Curt Chapman. Don Rigsby went on to play with Charlie Sizemore, Dave Evans, The Bluegrass Cardinals, The Lonesome River Band, J.D. Crowe and the all-star bluegrass ensemble, Longview, among its famous cast: James King, Lou Reid, Rigsby, Ron Stewart, J.D. Crowe and Marshall Wilborn. Longview has released four CD projects, Longview (1997), High Lonesome (1999), Lessons in Stone (2002), and Deep in the Mountains (2008). The group still performs on occasion. Don has also performed as a session musician and vocalist on literally hundreds of projects that include a Grammy winning project with John Fogerty. Five solo albums have generated awards like Gospel Album of the Year, The Kentucky Star Award and Song of the Year for Empty Old Mailbox. 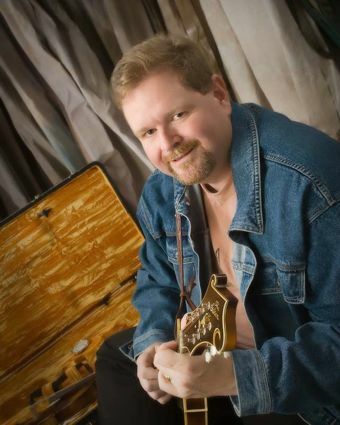 Two International Bluegrass Music Association awards came Rigsby’s way for his role as producer of 40, a Larry Sparks project receiving the Recorded Event of the Year and Album of the Year in 2005. All that being said about the man across the table, I am asking myself why does he stay here? Right on cue, as Rigsby speaks of his daughter and wife and handsome young Andrew and what it means to live where you choose and enjoy the simple lifestyle the foothills of Appalachia offer, and mom and dad. “My kids know their grandparents and go to the church I grew up singing, plus Mom and Dad aren’t as young as they used to be, but don’t tell Dad,” said with a sly grin accompanying the words. “Today’s technology certainly erases a lot of miles as far as recording and communicating, but one still has to travel for the shows.” Rigsby is slated to appear in Berkeley, Calif., Feb. 10 and has played in several European countries, Latin America, Asia, and 49 states with his mandolin and trademark High Lonesome Sound. He is familiar with the trek over Kentucky Route 32, leading home to isolated little Isonville, the home of his forefathers. Brand new projects Rigsby lets me in on are a television show on WSAZ -TV 3 in Huntington, W.V., entitled Bluegrass Revival with Don Rigsby that will air at 9:30 Sunday mornings in the Northeastern Kentucky television market. Combine that with the reconciliation of a couple members from the Lonesome River Band days, Ronnie Bowman and Kenny Smith naming the new assemblage The Ramblin Rooks with an upcoming CD release on Rounder Records. 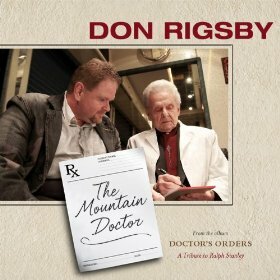 Oh, I almost forgot the High Lonesome Sound thing and his longtime relationship with Dr. Ralph Stanley, a family friend of his parents and hero of Rigsby’s which has prompted the sixth solo release from Don Rigsby, a project for Rebel Records. “I gave Ralph a list of songs I wanted to do of his after Tina (Rigsby’s wife and chief adviser) suggested I stick with that traditional sound for the new project, and he gave me back a short list” says Rigsby, “of which I immediately went to work.” This Ralph Stanley tribute is entitled Doctor’s Orders and expected to be released in April or May of this year and features Ricky Skaggs, Charlie Sizemore, Larry Sparks and of course Dr. Ralph Stanley himself. 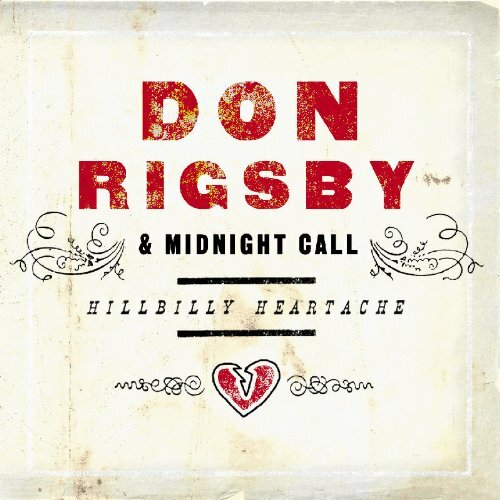 If you are looking for a music man to follow or just haven’t heard any fresh music that touched your soul in a while, I highly recommend you give Don Rigsby a listen. He has those five solo releases and appears on hundreds more. 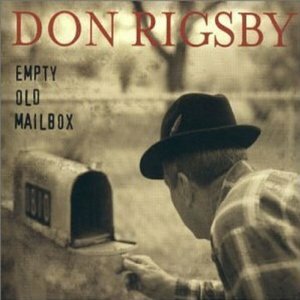 Fact is, this day and time you probably won’t listen to bluegrass radio anywhere for more than an hour and not hear Don Rigsby, and that comes with good reason: Don Rigsby the man and Don Rigsby the producer-singer and musician is worth the listen.